Practicing skiing on the trainer. This was surprisingly hard. I am feeling more than a bit silly. A moment ago I was walking in the streets of Hong Kong, carrying my skis, wearing my ski pants and feeling a little bit silly. The outfit did not fit in the hot and humid city streets and it was inconvenient to carry the skis in the crowd. But now it turned out that I can not use the skis at Slope Infinity. And it was also warm, so shorts or other light pants would be have been a better idea than the ski clothing. Oh well, I have already gotten plenty of experience from feeling silly and being looked at on the streets. What is that guy doing? But what is important is that Slope Infinity was open. This is half an hour earlier than they would normally open, but they were kind enough to open it earlier so that I could do a test run and still make it to my flight out of Hong Kong. This was my first visit to Hong Kong, lasting eight hours (including a night). Clearly, the most important thing to do was to try the skiing. So what is Slope Infinity? As the name says, it is an opportunity to do an infinitely long ski run. I soon found out that my muscles are not trained for infinite use, however. The set up is basically a downward sloping treadmill, a fast moving plastic carpet. 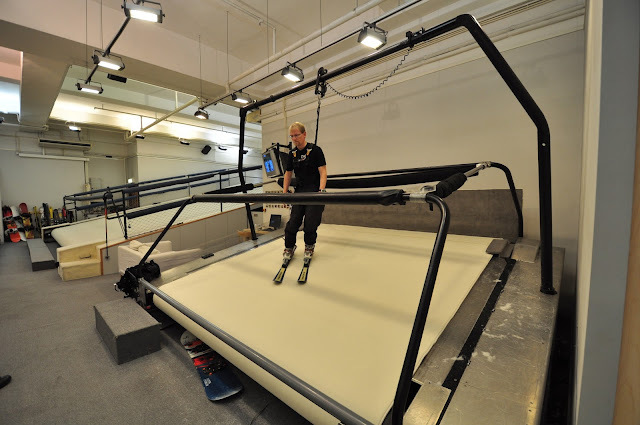 This is something that I had not seen before and I thought I had already tried all kinds of indoor skiing. It is an attractive setup because it takes only a small amount of space, needs no refrigeration and can be controlled in various ways to find a suitable speed and steepness for the skiers. But it is also special in many ways. The feeling is different, like going to a gym instead of the mountains. More importantly, the plastic carpet sticks harder to skis than snow. The first implication is that regular skis cannot be used. 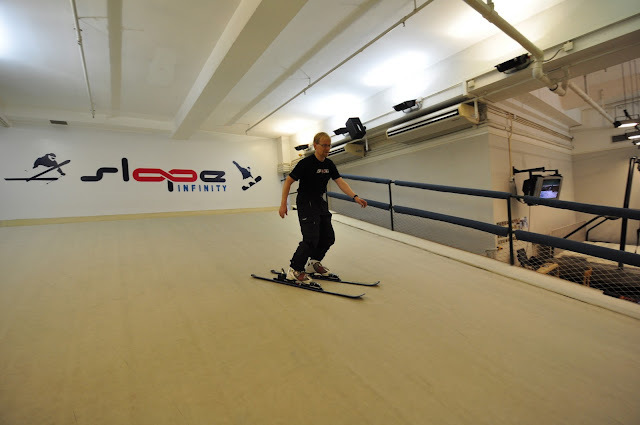 Slope Infinity uses special skis that have minimal friction on this surface. Regular skis would be in danger of melting on these slopes. The second implication is that your handling of the skis and turns will be different. 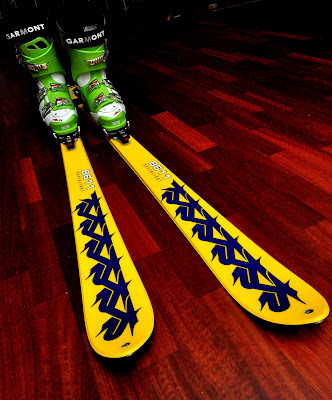 If you are not careful, the carpet can catch your ski and drag it backwards, making you fall. Turns have to be done very carefully, at least when the carpet is running at a high speed. Finally, no ski lifts are needed. If you need to go up the slope, put your skis in snowplow mode, or turn sideways to the slope. The moving carpet will take you upwards. Skiing on the big slope. Skier: Anthony, my instructor. Slope Infinity has two slopes. At first I thought that the big, main slope was the interesting one. But it turns out that it runs at a relatively slow pace and is at a relatively shallow angle. You can make some turns, but they will be slow. I found the small trainer slope far more interesting. A challenge, in fact. 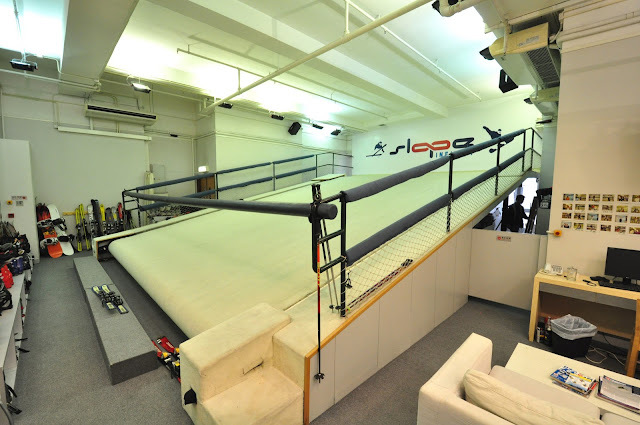 The trainer is a treadmill-size slope where you attach yourself to harness from the roof to prevent falls from taking you to the dangerous end of the carpet. There is a handrail right in front and behind you, so movements will not be big. But the angle and speed of this trainer slope can be adjusted, and at least for a beginner on plastic slopes, it can be made to run very fast. It was a challenge for me to keep myself out of the handrails and not letting the carpet yank skis from me. I can imagine that skiing regularly on the trainer would improve my skiing. Snow is so forgiving that using the trainer would force me to pay more attention to exactly how I use my skis. 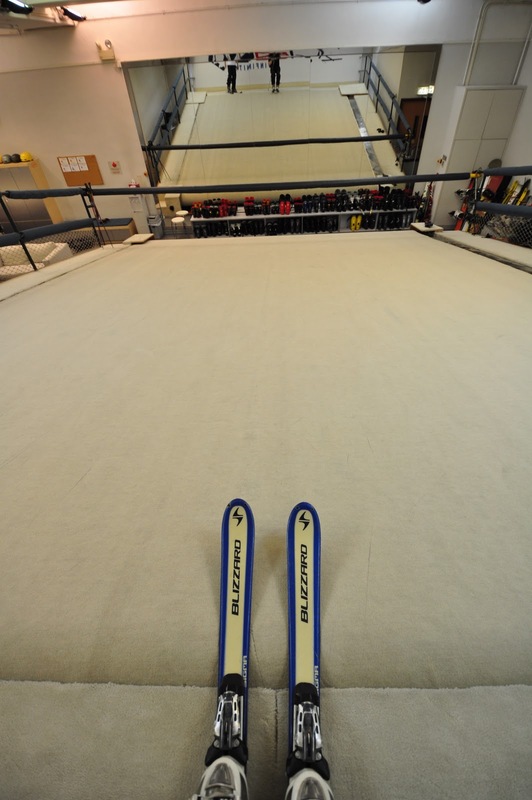 Even if the specific moves differ a bit between snow and carpet, for instance on the carpet we do not edge the skis very much. The big slope has another use, however. It is a good platform for teaching kids and beginners, given its gentle angle and speed. Two small kids entered the slope right after I had left it, and seemed to be learning quite well. My half an hour in the slope cost 460 HK$ or about 43 €. This is not cheap, but it is a very special experience and comes with a personal instructor who guides you to the right moves. Compare this price to the cost of renting equipment and a ski instructor. For repeat customers that do not need the instructor, an hour at the training slope costs 290 HK$, which is a very reasonable price. 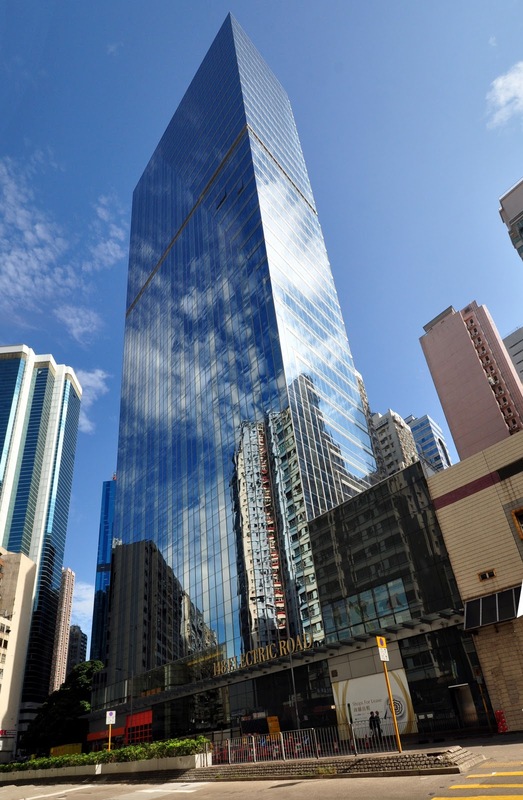 Slope Infinity is at 148 Electric Road, Hong Kong. I stayed the night in the nearby Causeway Bay Empire Hotel at a typical big city hotel price, though in my case I had to stay somewhere during the weekend anyway on my three week long business trip, and the other options were in similar or even more expensive large cities. The main ski slope - or is this the beginner run? I had no time to eat anything while in Hong Kong, so I cannot report on what the Hong Kong Goulash index might be. In general, everything else except hotels should be relatively cheap here, however. I'm guessing there is no special after ski, given that almost no one seemed to know about Slope Infinity in the surrounding areas. The hotel staff had not heard about this place, for instance (but they have now). Slope Infinity is a specialty in the ski world, for sure. But it is an opportunity to ski in an otherwise snow free part of the world. I would come back if I have future trips to Hong Kong. In particular, I liked the friendly staff, the ability to use the trainer for improving your ski technique, and the challenge that makes skiing on the trainer harder than on snow. 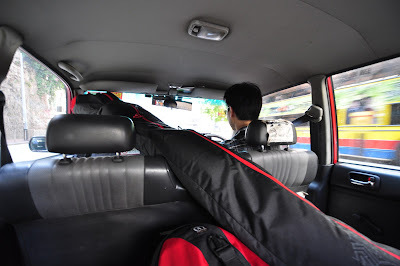 Taxi ride with skis. This is starting to become a familiar exercise. My plans for the round the world trip have solidified. 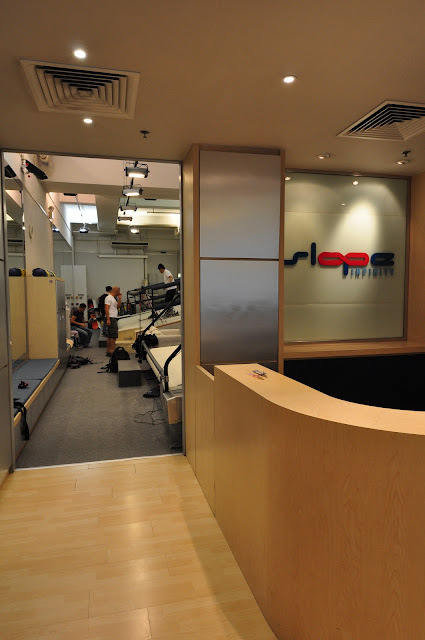 Slope Infinity will open their indoor slope earlier than normal so that I can make a visit on my short stop in Hong Kong on November 12th. I will ski in Happo One in Japan on their opening day on Nov 19th. 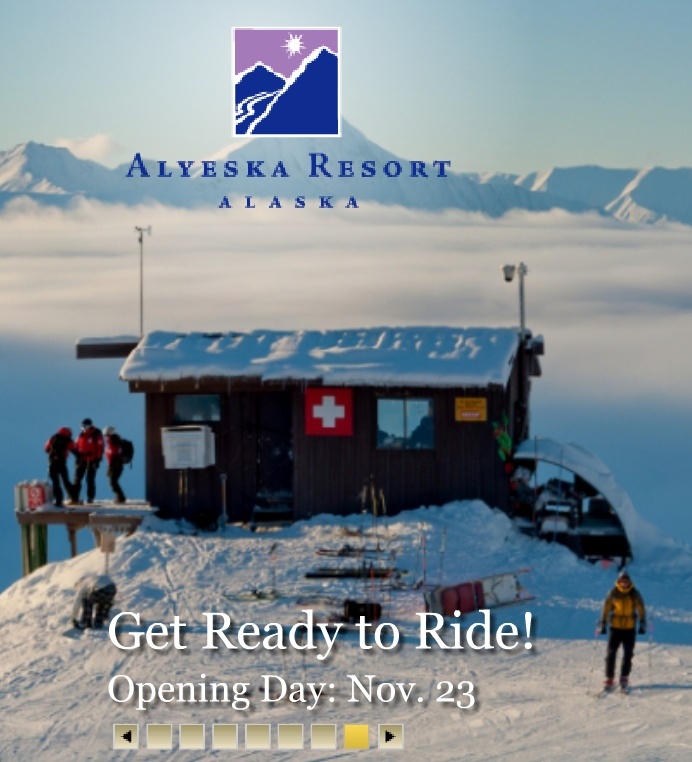 And Alyeska, Alaska on their opening day on Nov 23rd. Fingers crossed that my travel goes without issues and that the areas open as planned. I would also have part of one day free in Beijing, and could in theory try skiing there. Unfortunately, I've already been twice to the indoor place in Beijing, and it seems that the real ski areas do not open until late November or December. If anyone knows a ski area that is already open, let me know! Otherwise, the only question is whether I should take one or two sets of skis with me on this trip. I recently purchased light weight touring skis and boots. 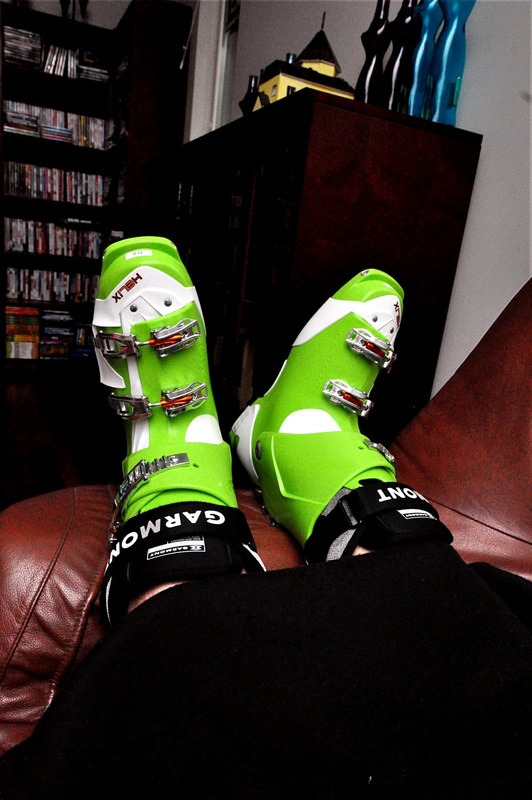 My skis are K2 superlights, boots are Garmont Helix's and bindings are Dynafit touring bindings. These are all extremely lightweight, so they are good for going up. But they are good only for that and for a careful descent. 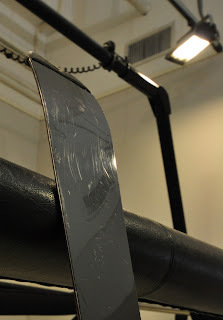 The binding release mechanism is limited, so for safety reasons I would rather ski mostly on my regular skis. The question is, am I likely to find myself in a situation where I need the light skis? Not according to my plan, but ... many things can go wrong on my trip, bad weather could delay the openings beyond my visit, flight delays could change my plans completely, etc. 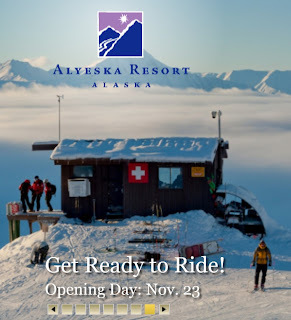 In Alaska I have three days to ski, so it would also be possible that I'll find some off-piste touring possibilities. However, the drawback with dragging two sets of skis around the world is that some airlines may charge for the additional weight. I won't be paying anything on Finnair, but I am less sure about the others. I'll be flying on Cathay Pacific, Dragon Airlines, Japan Airlines, Alaska Airlines, American Airlines, and British Airways. There will be at least some legs where I have to pay $10 per extra for one kilo of luggage, so getting the weight down will be important. Unless they respect One World Emerald frequent flyers somehow... from past experience with some of these airlines, I'm guessing that is not going to happen. 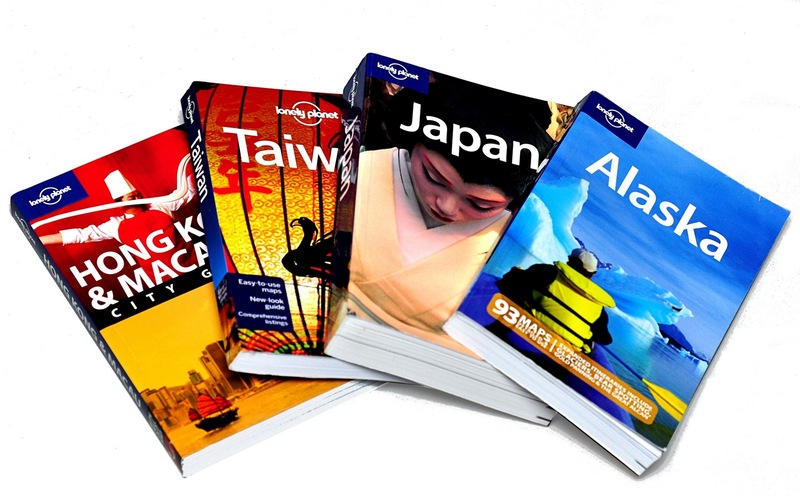 By the way, the first picture above is about Lonely Planet guides for this trip. I really love these books. I keep buying other books as well, but while the Lonely Planets are short on colorful pictures and they make boring reading from cover to cover, they also have the largest amount of information. Almost without exception there is more information about hiking, skiing, and climbing opportunities than in any other general purpose travel guide. I bought the Alaska guide almost a year ago, and it is only now that I get to use it. Incidentally, some of the other books that I have about possible future places include Moscow, Turkey, and Iran. Unfortunately, recent news indicates that a military attack against Iran may be in the planning, so traveling to Iran at this time may be too risky, even for me. Too bad. I hope that the situation is better in the future, it would be a great place to visit. For instance, Tochal, a local ski hill near Teheran, has a ski lift that goes all the way up to 3,740 meters.